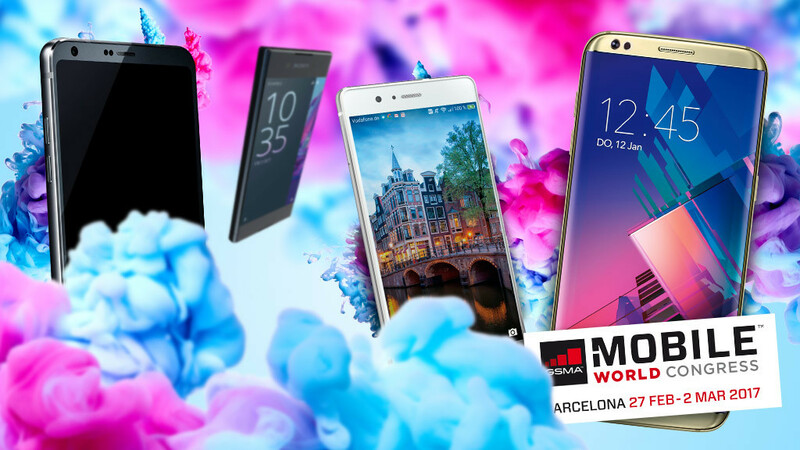 MWC 2017: Galaxy S8, LG G6 and Nokia's comeback - the trade fair preview! In a few days, the technology world looks banned for Barcelona: At the Mobile World Congress 2017 (February 27 to March 2), everything that has rank and name meets for the big mobile showdown. Particularly in the focus: the newest smartphones. Whether Samsung's Galaxy S8, the LG G6 or the big Nokia comeback - the gossip kitchen has been cooking for quite some time. Gradually even completely over. Reason enough to get an accurate overview of the highlights. The editorial team has collected all the information you need about the mega-fair, which determines the technology year 2017. It will be exciting again, which trends will take place this year and what remains on the track at the end. Last year VR and AR glasses were very high. In 2017, there are hardly any notable announcements in advance. And modular smartphones? The dream of Google and LG does not seem to arise. With the G6, LG rots back completely, over other modular smartphones you can hear nothing more. COMPUTER PICTURE will be live on the smartphone showdown of the year and provide you with all the information and impressions of the important devices. The Samsung Galaxy S8 must be a bang - but not in the sense of the explosive Galaxy Note 7. The latter has cracked the reputation of the manufacturer neatly; The new flagship is to re-direct it. The expectations of the S8 are accordingly gigantic and the rumored kitchen brings nearly daily new hints to the technical equipment of the upcoming top smartphone to the light. However, these speculations do not occur on the MWC, but only a month later. The South Koreans officially present the S8 at the end of March at an in-house event in New York. The great opportunity for the competition? No! Samsung will also be present in Barcelona. With the expected prototype of the first foldable smartphone and the 9.7-Tablet Galaxy Tab S3 , possibly equipped with edge display and input pen, the smartphone market leader could score points. If the Matebook was the hanger in 2016, Huawei is again focusing on his smartphone business. After the convincing P9 and the powerful Mate 9 the Huawei P10 could become one of the trade fair highlights. Officially, it is only on February 26th, the light of the technology world, but already now uncovered prematurely revealed pictures on the net. So the optically only marginally polished P10 not only in the normal version (5.2-inch full-HD display with Kirin 960 and dual 12-megapixel camera), but also a larger plus version. The 5.5-inch alternative apparently builds on a slightly rounded, sharper QHD screen, the technology remains the same. With the P10 Lite , Huawei is to bring again a savings variant for the middle class on the market. And otherwise? Voting the rumors, Huawei is working on the second generation of his Smartwatch series. The Huawei Watch 2 is to be somewhat sportier than its predecessor and rumored to have an optional SIM card slot. LG: G6 says "bye" to the big frame! According to the modular G5 experiment , LG and the successor G6 revert to other virtues. Fancy aluminum and absolute high-end technology will allow the G6 to survive the battle of the big. The greatest special feature: a gigantic display with the smallest possible housing dimensions. First non-official recordings indicate that very narrow edges stretch the 5.7 inch screen into an extraordinary 18: 9 format. LG would follow the frameless trend expected for 2017 and be the first manufacturer to present it. Possibly also with it: A Iris Scanner already known from the Lumia 950 XL and two Selfie Cams. In addition, the dual camera known by the G5 should again adorn the rear view. Samsung's LG G6 has a cool head to prevent hot battery problems like the Note 7 debacle, thanks to special copper coolers . The return of the cult maker Nokia earlier this year was a fist-sized surprise. Contrary to expectations, it was not just about the exploitation of the trademark rights, but about the construction of a new old brand. The beginning of the retro mobile phone Nokia 150 without modern Internet connection. With the Nokia P1 is to follow the MWC the great smartphone comeback. The P1 should have a 5.3 inch IGZO display. IGZO? This is a proprietary development of Sharp, which allows for more efficient and at the same time lighter screens. It is supposed to represent contents with up to 120 hertz and be protected by break-proof gorilla glass. As a processor unit, apparently, Qualcomm's latest draft horse Snapdragon 835 is used. The device has 6 gigabytes of memory as well as a 22.6 megapixel main camera with Carl Zeiss certification. Whether the information is correct will be shown on 26 February. Then, with Nokia, a forgotten heavyweight returns to the MWC ring. If the trade show at Nokia is about unhappy return, says BlackBerry after a last big bang quietly Servus. The exit from the smartphone business has been officially sealed since September 2016 - at least to the manufacture of own hardware the Canadians waive after a long Handy-era. Another change: recently, the physical keyboard disappeared from the screen - an affront for many BlackBerry supporters. This is supposed to change with the BlackBerry Mercury, which is officially presented on the MWC as DTEK 70, once again - one last time! COMPUTER BILD already had it in hands and summarized in the conclusion: Even if the technical inner life is not officially confirmed, the BlackBerry Mercury makes a good figure at the first try. This is due in particular to the successful integration of the physical keyboard, which is nowhere else to be found in today's smartphone era. The better the pressure point and the response of the buttons are. And the rest? Also! The display is extremely sharp, the optics for a first prototype noble and comparatively high-quality. View of the rest: Lenovo, Sony, HTC & Co.
Smartphone sizes like Sony, Lenovo or HTC may not be missing. With new top models, traditional manufacturers are not likely to look at the current rumor. Sony is likely to concentrate on fresh mid-range goods like a new edition of the Xperia XA , while a flagship with 4K display is expected in the year. After the IFA concept of the modular high-end Smartphone Moto Z, Lenovo bakes once again medium-class rolls. In conversation is the fifth generation of the Moto G5 (Plus) . With the U-series, competitor HTC has probably missed its mobile powder once, with relevant devices for the German market is - as in the past year - not to be expected. A possible HTC 11 is unlikely for the MWC, should be in the middle of the year in the starting holes. Do not wait for the iPhone! Who now thinks that Apple also plays a role on the MWC, is wrong. Traditionally, the smartphone manufacturer takes distance from the show and concentrates on its own events - almost a little, as Samsung makes it with the Galaxy S8. The next Apple event is to take place in March, but traditionally the iPad is in the forefront and less the iPhone. News for the iPhone 8 is there, of course - even if it is expected to be released in September.